Includes: 6108-01DPGS Chair. Longing for a chair that marries clean, contemporary style with a sense of warmth? Get ready to fall in love. 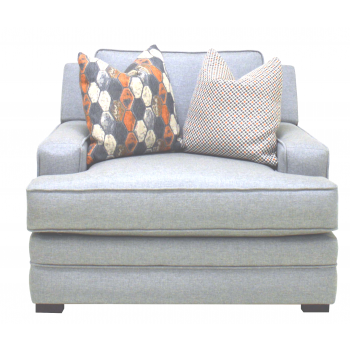 Featuring a lighter body fabric and vibrant accent pillows that easily go with any décor.